Welcome to the D.P.S. Coding Club site. 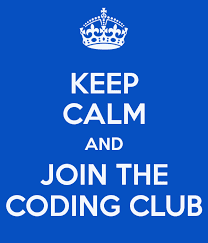 Here you will find information regarding Coding Club. Please check here for updates, reminders and new student videos. Last year the East Greenbush elementary schools started a fun and exciting Computer Coding Club! The club introduces students to the basics of computer coding. The club will once again be offered at D.P.S beginning January 2019. 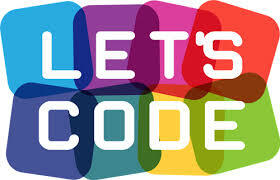 Currently, the club is for students in grades 3-5 who are interested in, or would like exposure to computer coding. Students use multiple platforms and have the opportunity to begin coding using Ozobot Bit (https://ozobot.com/). Ozobot Bit is an ingeniously fun, impressively smart, and incredibly small robot that moves according to how it is coded by YOU! Participating students work collaboratively with their peers as they begin to learn how to code through the use of robots and computer programs. Coding helps young people to think creatively, work together, reason systematically, and solve problems. These are essential skills for 21st-century careers in the ever-expanding field of STEM. No prior coding experience is required. This year the club is meeting in room 26 from 8-9am. Students are assigned to one meeting day per week. They are dismissed from the classroom when the school day starts at 9:00am. Participants are accepted on a first come, first serve basis. If you have questions regarding this club, please email Mrs. Conyers at conyerssh@egcsd.org. D.P.S. Kids Can Code With Ozobot Bit!